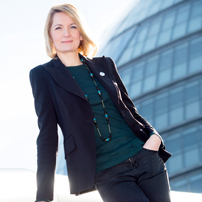 Sophie Walker is the leader of the Women’s Equality Party, a new collaborative force in British politics uniting people of all genders, diverse ages, backgrounds, ethnicities, beliefs and experiences in the shared determination to see women enjoy the same rights and opportunities as men so that all can flourish. She worked as an international news agency journalist for nearly twenty years and is an ambassador for the National Autistic Society, campaigning for better support and understanding of autism, particularly in women and girls. Sophie was elected leader of the Women’s Equality Party in July 2015, and in January 2016 was voted to represent the party in the London Mayoral election. She garnered one in twenty of the votes cast for Mayor in London on 5 May.